Leprosy is perhaps the most famous of all diseases, mainly because of the references about it in both history and art. It is a terrifying medical condition that was very common in the Middle Ages. Unfortunately, despite the huge medical and technological advancements that we have achieved since that era, leprosy still manifests in about a quarter of a million people on an annual basis. Since “knowing the enemy is half the battle”, we are going to tell you about its cause, symptoms, and also the available treatment. Leprosy is a bacterial infection caused by a bacterium called Mycobacterium leprae. It is also known as Hansen’s disease, named after Armauer Hansen, a Norwegian doctor who was the first to discover and study the rod-shaped bacterium. Hansen studied it extensively and managed to link it to the disease. He published his findings in a paper released in 1873. 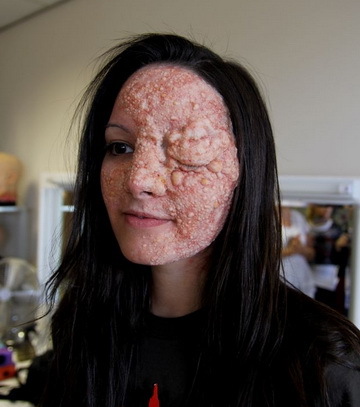 To this day, there are two separate types of leprosy, lepromatous and tuberculoid with the former having way more intense symptoms, one of which is the appearance of lumps on the patient’s body. - Stuffy nose and/or frequent nosebleeds. Time is a huge factor in treating leprosy. The earlier the stage of the disease is when it is diagnosed, the higher the chances are that the bacteria will be killed before they manage to do any permanent damage. All it takes is a simple biopsy of any of the patient's skin lesions to determine whether he or she suffers from leprosy. Once the diagnosis is complete and the infection is confirmed, the medical expert administers one or more of the following antibiotics: dapsone, clofazimine, rifampin, minocycline and fluoroquinolones. In cases of extensive inflammation, aspirin, thalidomide and prednisone may also be used. Leprosy used to be an issue of epic proportions. Even though it is not that widespread anymore, there are still reasons to remain very cautious since it is not eradicated completely. A recent research revealed that over the past two decades about sixteen million people have been treated for leprosy.